Bangalore: Process of acquiring properties has been started for the Metro’s Outer Ring Road (ORR) line from Silk Board to K.R. Puram, according to a report. 39,300 sq. m of land required to build the 17-km line with 13 stations, it said. The project is estimated to cost Rs. 4,200 crore, The Hindu reported. The project has been taken up under Phase-2A of Bangalore Metro. The government has issued notification for acquisition of land and properties for the project. Building of this stretch is crucial as the metro train to Kempegowda International Airport (KIA) will originate from here. 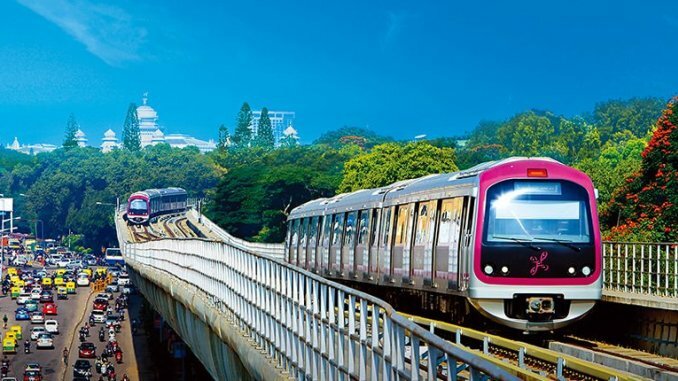 In December last year, the BMRCL (Bangalore Metro Rail Corporation Limited) had cancelled the tender for construction of the line citing various reasons, including difficulty in taking possession of land, raising funds, and lower bid made by crisis-hit IL&FS. The BMRCL has paid Rs. 86 crore to Bangalore Development Authority (BDA) for providing 9,759 sq. m of land for construction of metro stations at HSR Layout, Agara, Doddanekundi, and Silk Board. “Unlike other metro lines, the number of properties required for the construction of this line is very less. We have identified 89 properties out of which 47 are private ones. There are properties of civic agencies such as BDA, BBMP and BWSSB. We have paid compensation to the BDA for acquiring land at various points,” a BMRCL official quoted as saying in the report. Bangalore: The track-laying work was in progress for the extended metro line from Yelachenahalli to Anjanapura under Phase-2. The track-laying work will be completed by October. Several works on the Reach 4 extension will be taken up for the opening of the stretch to the public by August 2020, sources said. 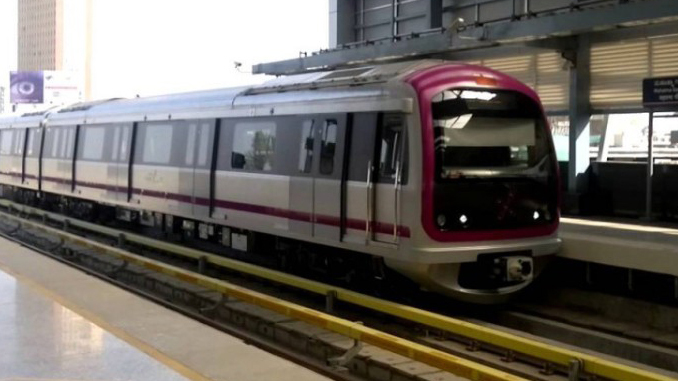 Sources said that the Bangalore Metro Rail Corporation Limited (BMRCL) is planning to open this line by August next year. The 6.05-km extension from Yelachenahalli to Anjanapura Township will help thousands of travellers, who now get down at Yelachenahalli and wait for buses at crowded junctions to travel further. The line will have 5 stations, including Vajarahalli, Talaghattapura and Anjanapura. Also, the track-laying work on Mysore Road-Kengeri section (Reach 2 extension) is likely to be completed by December. In a release, the BMRCL said that the track-laying contract has been awarded to Texmaco Rail and Engineering Limited, at an approx value of Rs 530 crore. The work includes laying of tracks in Phase-2 main lines and all depots.